Looking for the latest Sneinton Festival info? Check our Sneinton Festival page. The 2013 Festival has got off to a great start in fantastic summer weather! Saturday's launch event at The Greenway Centre saw the community come together to create artwork for the main parade float- which will be unveiled on Saturday 13th July. 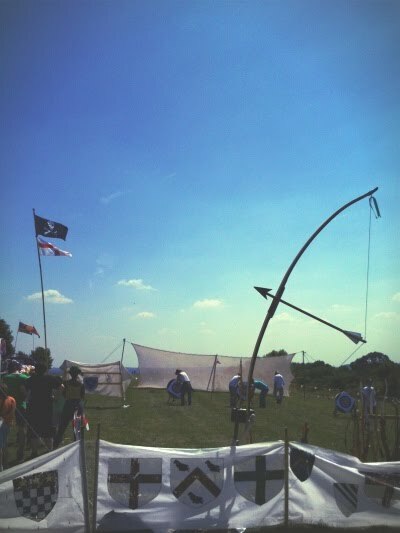 Sunday's Colwick Woods Gala day attracted a big crowd in glorious sunshine for a traditional gala with stalls, archery, craft stalls, a dog show and demonstrations of belly dancing, kick boxing and sword fighting! Things are set up perfectly for Friday's International Food Evening at The Old School Hall, Saturday's parade and main event, and Sunday's picnic at Green's Windmill. For full details of events and times, please head over to the Sneinton Festival Page.